This is part of a Blog Azeroth Shared Topic. 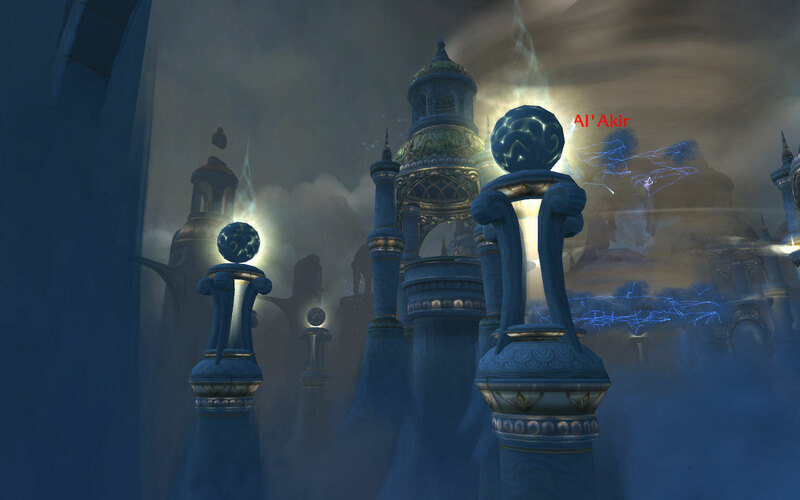 Check out some great posts by other members of the WoW blogging community! A whole bunch of news came out lately about patch 4.3 and what Blizzard is saying is the last big content patch of Cataclysm. While that news is interesting in itself, today I’ll just talk about two features that were some of the first to be highlighted: transmogrification and void storage. We don’t know any timeframe for when 4.3 will be coming, but by the looks of things it won’t be for a while. Blizzard has said that it’s the biggest content patch that they’ve ever released, and I don’t doubt that. Some other things included in the patch will be the Deathwing raid, three 5-man dungeons, a revamped Darkmoon Faire, a Raid Finder tool (similar to the LFD tool), and likely many more things. Looking at Transmogrification and Void Storage, it was originally teased for us with a picture called “Glimpses”, posted on the Warcraft Facebook page. The caption simply read, “Interesting”. Basically, this feature will allow someone to change the physical appearance of an item to something else. Have a new tier set that looks horrendous? Still have your old tier set that looks amazing? For some gold you’ll be able to have it look the way it was before, but still having the new stats of the new gear. My first reaction to transmogrification was mixed. I really like the idea, and people have been asking for it for years… but my main is a Druid. While there are some sets that look great, they all suffer from the problem most Druids have: we barely get to see them. When I’m in combat, I’m always shapeshifted unless healing. Lately I haven’t actually been doing too much instancing, so this might not be too bad of a thing to work towards. I really like some of the sets that have come out, and I wasn’t able to get some of them while the content was relevant. 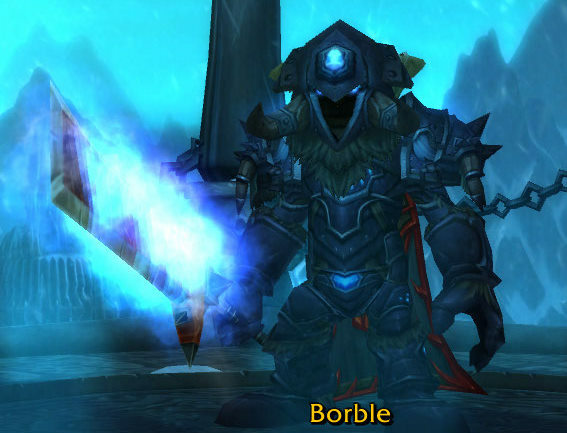 My Death Knight weeps at possibilities not able to be used… until I can get the starter zone stuff back. This feature will allow people to store many items in an expanded bank, for a price. There are some restrictions on it, including the fact that it will strip away all enchants or creators’ name tags (which has been said is a technological impairment, nothing to do with lore at all), and that it will cost gold to deposit items. It’s meant for items that are kept in a bank and left for a very long time. A while back I was able to complete “What A Long, Strange Trip It’s Been” to earn my Violet Proto-Drake. Because it requires completing all of the holiday events, that brings a lot of holiday items acquired over time. I am a packrat, so everything that I got along the way still sits in my bank. It will be very weird to have my bank relatively empty, and use it as an extension of my bag space. I’m looking forward to transmogrification and void storage. Both will have good features that I will use, but it’s not a make-or-break thing for me. 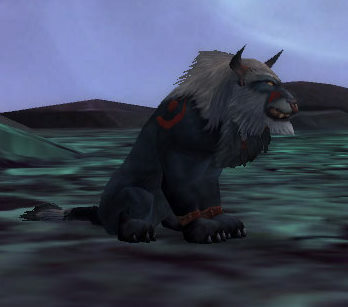 Give me a way to have my cat, bear, or moonkin forms change with my armour and I’ll be extremely excited. This is part of a Blog Azeroth Shared Topic. Check the thread out to see posts from other great blog authors! There are only two things that are certain in life: death and taxes. Fortunately there isn’t a monthly gold fee to pay to Stormwind or Orgrimmar to pay for the services you get there – that’s why you have to pay for repairs and the auction house fees. However, death is rampant in WoW. There are very few people who can say that they haven’t died at all while leveling, and if doing dungeons or raids is your thing it’s a given fact that you will die at some point. One big question stands out: how does a game deal with a character death? This question has been mulled over, thought about, and discussed a great many times as everyone has a different approach to it. I’ve played a few games which have all had different ideas about it, which I will explain and then give my own thoughts. The first MMORPG I played was one called Nexus: The Kingdom of the Winds. Penalties for death included losing half the experience you had (over level 99), as it was used as a currency to purchase better health, mana, and stats. Also there was a “death pile”, which consisted of various items that the character was carrying, and certain items broke upon death. 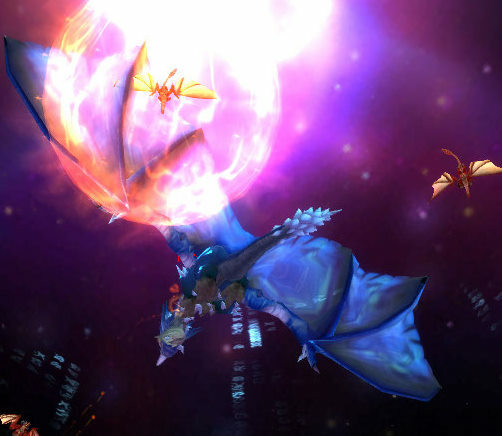 Prior to level 99, the character would lose a portion of their current experience. After Nexus, I played Final Fantasy XI. Their death system worked similarly, with the exception of the items being dropped in favour of a more steep experience penalty. When a character dies there is a large experience penalty, and the chance that the character can actually level down. I had experienced that many times, when I was in a group killing stuff and recently leveled and then we all died… and I was suddenly the level I was previously. Full disclosure: I haven’t played either game in a very long time, so their death systems may be different now. What I explained is how they worked when I played them. As many people know, in World of Warcraft the penalty for death is fairly low. In essence, the taxes that I mentioned in the first paragraph are the penalty for dying in WoW. Equipped items are charged 10% durability loss with every death, in which the repair bills add up quickly after a night of learning a new raid boss. If it’s decided to use a Spirit Healer, then an additional durability loss is charged to ALL items that are carried – whether they’re equipped or in the inventory. 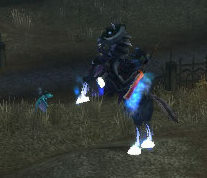 A character who has multiple sets of gear will go through great lengths to avoid using a Spirit Healer. On top of that a debuff called Resurrection Sickness is applied to the character for a period of time, which reduces health, mana, damage, and healing done. Basically, if you don’t go to recover your corpse you can’t do anything but travel for a while. The death penalty is charged to discourage people from not caring about dying. 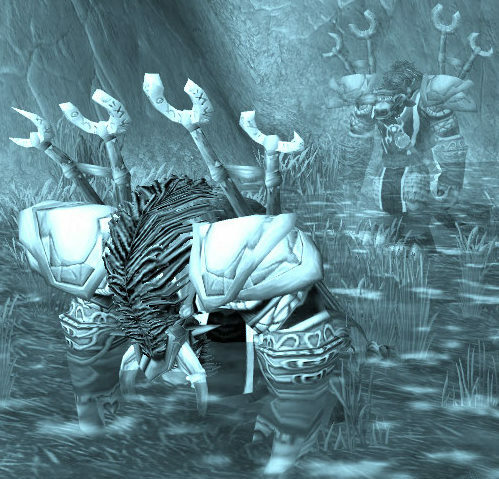 Blizzard wants us to care about our characters, and try to keep them alive. At the same time, the penalty isn’t so steep that if a death happens we aren’t so discouraged that we throw our computers out the window. In comparison to the other games, I believe that the penalty is exactly where it should be. It’s not so huge that we are mad beyond all reason, and not so small that we don’t care about dying at all. I can attest to the fact that after a night of learning a new encounter in a dungeon or raid, seeing my repair bill sure makes me want to have less wipes the next time I go.